Like other skin conditions, acne has a habit of sneaking up on you. Just when you thought you worked hard to finally clear your skin, BOOM! Another pesky zit shows up. A lot goes into treating acne. Figuring out why do we have acne, finding the right treatment for you, and crafting your skin care routine accordingly are all pieces of the puzzle. Sometimes, identifying the type or types of acne you’re dealing with helps the most. We’re breaking down the kinds of pimples you might be seeing and giving you a few tips on how to treat them. You might just heal your skin along the way. Take a close look at your nose in the mirror. Chances are it’s spotted with little black dots, also known as blackheads. How do we get blackheads? Well, our pores fill with a combination of dead skin cells and oil, but the top of the pore doesn’t close. This gives blackheads their other name, open comedones. We can easily treat blackheads with gentle exfoliation and acne treatments. Whiteheads are like a close cousin of blackheads. They result from oil and dead skin cells clogging pores, but the top of the pore closes, resulting in, well, a white head. Because the pores are already closed, you’ll need more of an intensive treatment. Our Clear Face Cleansing Foam deeply cleanses pores, while our Clear Face Acne Spot Gel attacks pimples that have already formed. Moving onto types of acne that are considered to be inflammatory. In some cases, the inflammation is so severe that it causes the walls of the pores to break down, which then causes the formation of papules. Papules are hard, clogged pores that feel tender to the touch. They’re easily treated with the same solutions that are used for whiteheads and blackheads. Pustules are a lot like papules in that they form when the walls of the pores break down. However, they are filled with pus, and typically have a yellow or white head. Applying a warm or hot washcloth to the pustule helps to draw the pus upward toward the surface of the skin, speeding the healing process. Last on our list of types of acne: cysts. Cysts are the largest and definitely the most painful kind. When pores are clogged deep below the surface of the skin, red or white bumps form, and are usually the result of a severe infection. We recommend turning to your dermatologist for this one. Your derm will be able to effectively treat your cysts and help you heal the infection at the source. When you’re dealing with acne, it’s important to invest in gentle products that won’t dry out your skin. 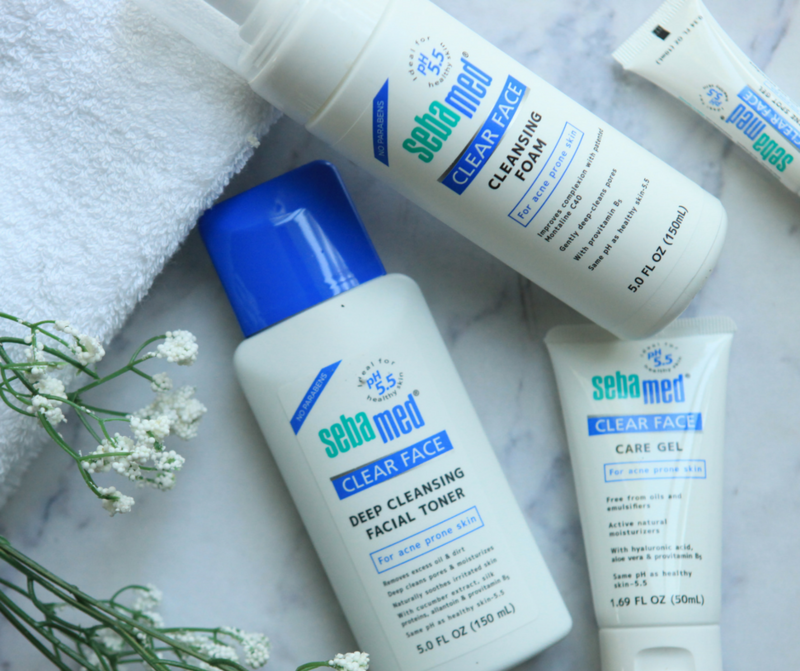 No matter your types of acne, Sebamed has you covered. Our Clear Face products target acne-causing bacteria and help soothe breakouts for good. Check out our complete product line-up here.